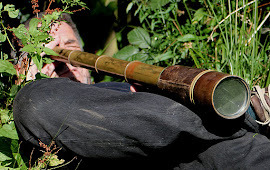 The work diary is filled with Annual Reviews at the moment; a yearly assessment of how each nature reserve is performing against its habitat and species targets. 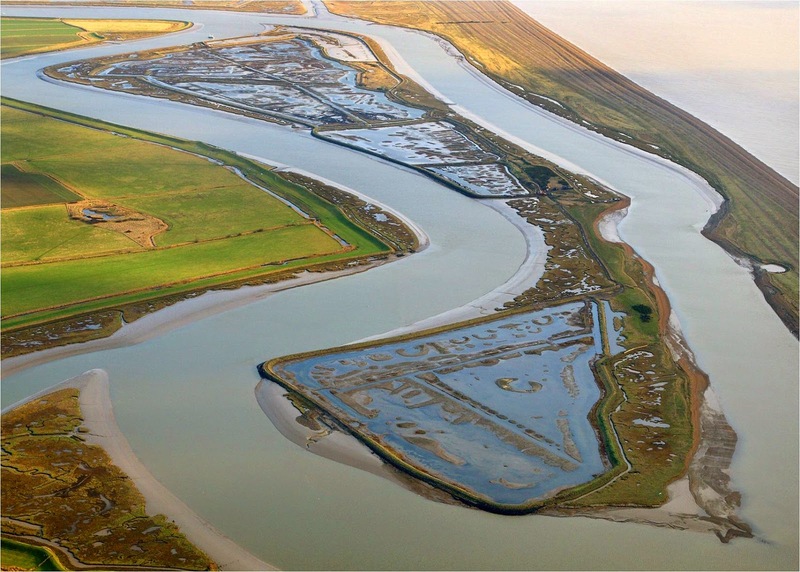 Two of the top 12 wetland reserves in the UK for waterbirds were recently visited for a review: Berney Marshes/Breydon Water and the Ouse Washes. Rejuvenation of key areas of habitat by a careful bit of ‘disturbance’ turned out to be a dominant theme for both sites. Nature reserves can become rather ‘tired’ over a number of years as habitats become rather stable under routine management operations and the actions of natural succession. Early succession wetland habitats in particular can become overgrown as invasive swamp species begin to dominate what were previously bare muddy areas with annual plants. In many habitats, a degree of disturbance can knock back the succession and open up opportunities for a greater variety of species to flourish again. This disturbance through management is seeking to mimic natural events such as flood and drought. Berney Marshes recorded a peak of over 91,000 waterbirds last winter and over 200 pairs of waders bred in the spring. Increasing areas of rough grassland are being retained around the reserve; last year it also had up to 5 Rough-legged Buzzards and 16 Short-eared Owls. 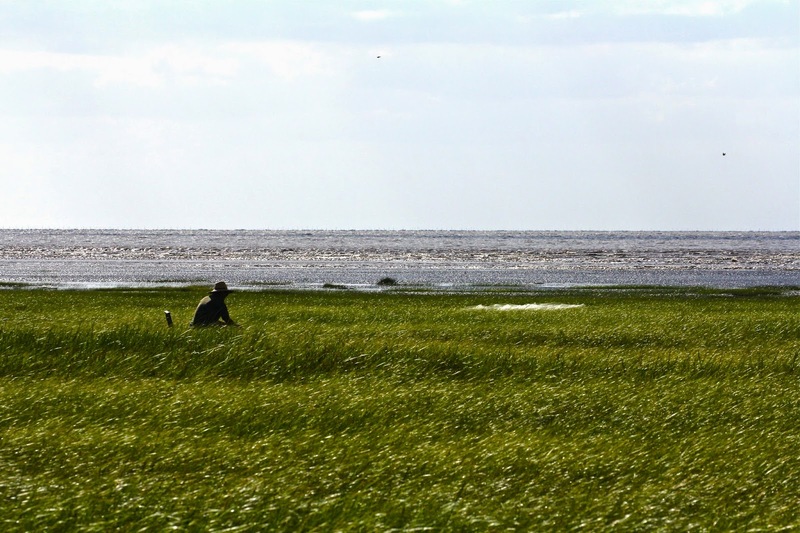 However, the ditches and floods within the wet grasslands are the key feature of the reserve and increasing amounts of Sea Club-rush can become a problem in these areas as the grazing animals avoid eating it. Staff at Berney have been drying out, cutting and rotovating areas of club-rush with great success, allowing re-colonisation of the resultant muddy ground on re-flooding by annual plants that provide abundant food for wildfowl. The newly flooded pools were covered with hundreds of Lapwing, Wigeon and Teal. New projects currently being planned on the reserve will deliver significantly more scrape and lagoon habitat alongside Breydon Water for the benefit of terns, Avocets and passage waders. 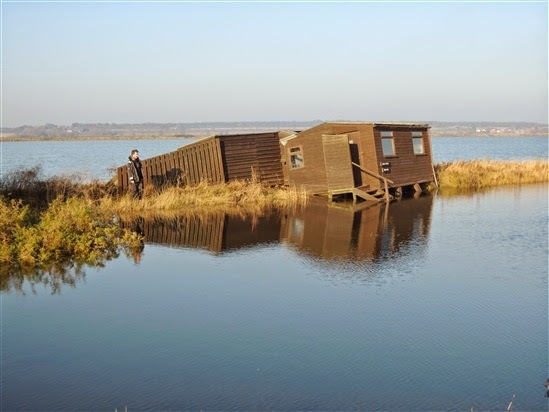 The Ouse Washes has been suffering for a number of years from increasingly frequent summer flooding, resulting in a sharp decline in breeding waders as nests are washed out. As a result, conservation work in recent years has been directed at creating habitat outside of the washes. This year, the so called ‘Pilot Project’ the initial trial of creating wet grassland habitat for breeding waders on ex-farmland adjacent to the washes, held an amazing 174 pairs of waders on 76 ha. The dry summer this year also allowed some increase in the waders on the main washes. The ‘crake-ometer’ accurately reflected the dry summer conditions: Corncrakes increased to 3 or 4 while the wet-loving Spotted Crakes were absent. The fenland Cranes are increasingly finding the washes to their liking with up to 21 present at the moment. 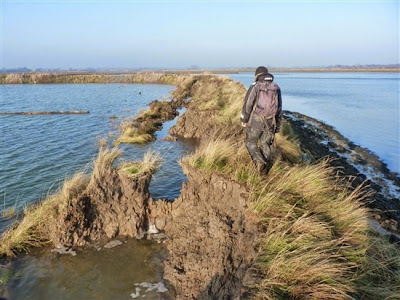 Scrapes and floods grow over quickly on the Washes so the dry conditions have allowed a considerable amount of restorative habitat work to be undertaken. New scrapes have been created and chisel ploughing has opened up compacted soils to the delight of feeding Snipe. 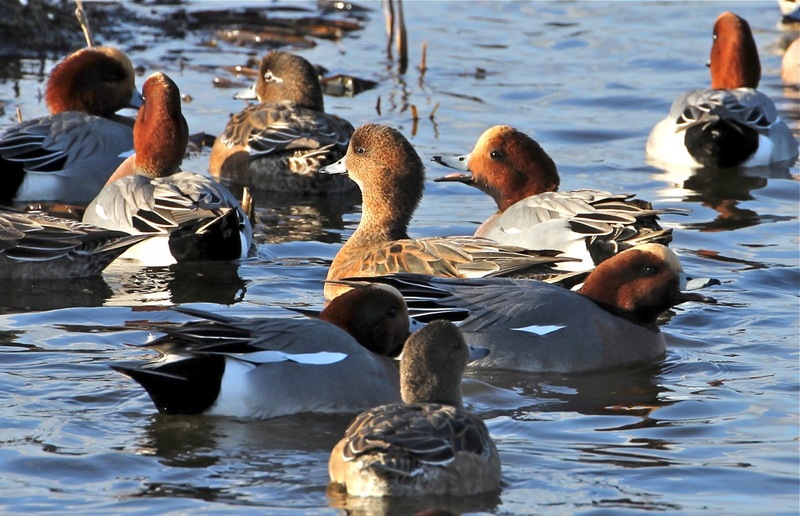 This work will significantly benefit waders and waterfowl in the coming breeding season – if the rains stay away. Photos: above Wigeon and Club-rush rotovation at Berney. Below: wildfowl and new scrapes at the Ouse Washes. There often seems to be an assumption that if birds are going to colonise the UK, then it will just happen. However, successful colonisation is by no means inevitable and some species may need a lot of help to do so. In addition, these newcomers often seem to be valued less than declining ‘outgoing’ species, but why should colonising species be less important than those declining? If their range is shifting in our direction as a result of deteriorating conditions elsewhere, their conservation needs may be just as important. Black-winged Stilts are a good example of a species ‘heading our way’. There has been an increase in breeding attempts by stilts in the UK in recent years. Unfortunately, Black-winged Stilt productivity in the UK has been poor. There have been 13 nesting attempts since 2005, six have hatched young, and these 13 nesting attempts have fledged just seven young (all last year). So, this amounts to an overall productivity of just 0.54 young per pair. By contrast, it was a pretty productive breeding season for stilts in the Netherlands last year, and the ten nesting pairs there fledged 26 young (2.6 young per pair). 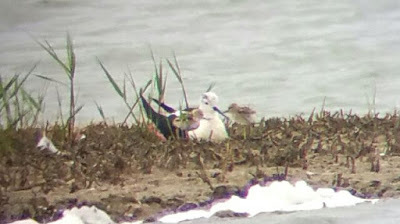 This year, 2 pairs of Black-winged Stilts attempted to nest at Cliffe (photos below). They failed to rear any young, despite a considerable amount of effort, including a predator control plan and a 24-hour watch. The young chicks were unfortunately predated by Black-headed Gulls within a few days of hatching. This has however, provided much useful information about how to deal with future events. The key is to act fast when birds arrive and put in place all the necessary protection. However, a more forward thinking option is to attract the birds into safer nesting areas by improving the habitat. In short, we need to tip the balance in their favour. Such actions will also benefit other key species using the same habitat, such as Avocets and terns. The Great White Egret is another species currently in the early stages of colonization of the UK. There are interesting lessons to be learnt from the colonisation of The Netherlands. Numbers remained low for some 25 years at the colonisation site, the Oostvaardersplassen. The trigger for an increase in numbers was the creation of a range of shallow water feeding grounds within range of the breeding site in the late 1990s These shallow, clear waters are of importance to the egrets for feeding especially in the first part of the breeding season. Chick production increased steeply after the creation of these areas and breeding numbers dropped in years when they were dry. However, these changes allowed GWE to increase from less than 5 pairs in the 1990s to 143 in 2006. We have tried to apply the same thinking to GWE colonization of the UK. Where are the likely breeding sites? Is there suitable nesting and feeding habitat? If not, can we put it in place? The quality and quantity of food available to the birds is critical to both initiating breeding and breeding success. In the UK there is a lack of suitable feeding areas around many of the likely breeding sites but with some thought this could, and is, being addressed. In Somerset, the initial breeding was triggered by the creation of large reedbeds and then appropriate feeding areas bringing the birds into nesting condition. Two or three pairs have bred annually since. This year the provision of a high quality feeding area has coincided with a jump to 6-9 pairs. On a visit to the site in June, one feeding area contained 78 Little Egrets, 13 GWE (and a further 5 flying around) and a couple of dozen Grey Heron. Later in the season, another area provided feeding for fledged juveniles (photo above). So, species may want to colonise, but the conditions may not be ideal. We should be looking for opportunities to tip the balance in their favour. This is of course no more than a decent reserve warden should be doing – thoughtful management of habitat to get the best result. When the tidal surge of December 2013 hit Suffolk, 1.5 million cubic metres of water poured over the sea walls into Havergate Island, flooding everything bar the tops of the hides and huts. It is widely acknowledged that the flooding of the island saved other land around the estuary from a similar fate. Damage was severe to some parts of the walls and it took a month or so to drain out the water to suitable levels. But ultimately, the flooding caused very little damage to the ecology of the island and may even have been beneficial. Under climate change predictions, such events will increase in the coming years. So where do we go with Havergate in the future? Havergate Island used to be 'Avocet Island' but although large numbers of Avocets still feed on the lagoons, very few now breed. In recent years the complex of saline lagoons on the island have been colonised by 1000s of pairs of Lesser Black-backed and Herring Gulls. Now, nice as large gulls are, they have the potential to all but eliminate smaller 'seabirds' (gulls, terns and waders) by their sheer density of occupation and their habit of predating the chicks. Whereas 20,000+ pairs of LBBG used to nest in the adjacent Orfordness, a rapid decline to just a few hundred has occurred due to predation by Foxes and disturbance. Evidence from colour-ringed birds shows that these displaced Orfordness gulls now nest widely. There were 2,070 pairs on Havergate in 2014. Although the gulls may be squeezing out the Avocets, the island is still favoured by Spoonbills and in other locations they are quite happy to nest amongst large gulls. The surge tide damage to the island has now been repaired. The section of wall that was all but washed away has been re-built but is now slightly lower and re-profiled. The aim is to lower and re-profile further sections of wall and install more water control sluices. The lowering and re-profiling will allow future surge tides to flow in more smoothly without damaging the walls, so will both reduce repair work and maintain the wider flood defence benefits of allowing the island to flood. The additional sluices will allow quicker discharge of the floodwater to restore optimum water levels. The island will be managed for wintering and passage waterbirds, breeding gulls, Spoonbills and specialist lagoonal invertebrates such as the Starlet Sea-anemone. But what of the displaced Avocets? On the ‘mainland’ of Suffolk the aim is to ‘roll back’ and create new freshwater and brackish lagoon habitat behind the seawall. The project at Hollesley (as previously described) is already highly productive for breeding Avocets and other waders. New areas are also being planned at nearby Boyton to add to the existing wet grassland habitat. The aim is to adapt to climate change, where possible providing benefits both for wildlife and for people at the same time. Photos: above: Havergate aerial, just after the surge, Avocets in a fluster. Below: damaged sea wall, Starlet Sea-anemone, Hollesley aerial. The Dutch think big! Why can’t we do the same? A short trip over to The Netherlands for a meeting with the Dutch Birdlife partner Vogelbescherming Nederland (VBN) was a suitable excuse for a couple of site visits. First on the itinerary was a Black-tailed Godwit hotspot at Eemland where 200+ pairs nest on a typically open, wet meadow habitat. Godwits are increasingly restricted to nature reserves where high water levels are maintained and this reserve is a great example of management for meadow birds. Continuing north, we came to our main destination outside of the town of Groningen where a massive total of 3,000 ha of wetland habitat has been created as a flood defence scheme for the town. The waters of the local rivers flow north towards the Wadden Sea. Historically the low areas around Groningen supported a large peat bog habitat. Attempts to drain the area started in the Middle Ages and the last 100 years has seen the area managed as pasture. However, Groningen has a history of serious flooding when river levels have been high. The local water board Noorderzijlvest looked for a flood defence area, a 'washland', in order to protect the town. They concluded that the area to the south west of Groningen called De Onlanden area was most suited to fit their requirements. The area was mainly under the control of farmers or conservation organizations. A partnership of organisations was formed and in 2009 the new flood defence scheme was initiated. There are two main areas that we looked at: De Onlanden and an area near Zuidlaardermere. Flood waters are stored in these areas to various depths of up to 1m. How is this different from washlands in the UK? The key factor is there is an agreement that a level of water is retained into the spring, creating fen, reed and open water habitats. This brings a win-win situation; flood storage and wildlife-rich wetland habitat. And wow, is this a win for wildlife. 250+ pairs of Black-necked Grebes, breeding Whiskered and White-winged Black Terns, 16 booming Bitterns, Corncrake, Baillon’s, Little and Spotted Crake, 120 prs of Bluethroat, 100prs of Grasshopper Warblers and 150 prs of Marsh Warbler. But this area is not just for wildlife; it is now extensively used by local people for cycling, walking, fishing etc. In the UK we have numerous washlands, but none deliver like De Onlanden, ours are drained down in the name of maintaining storage capacity. Why can’t we think big and imaginatively like the Dutch? 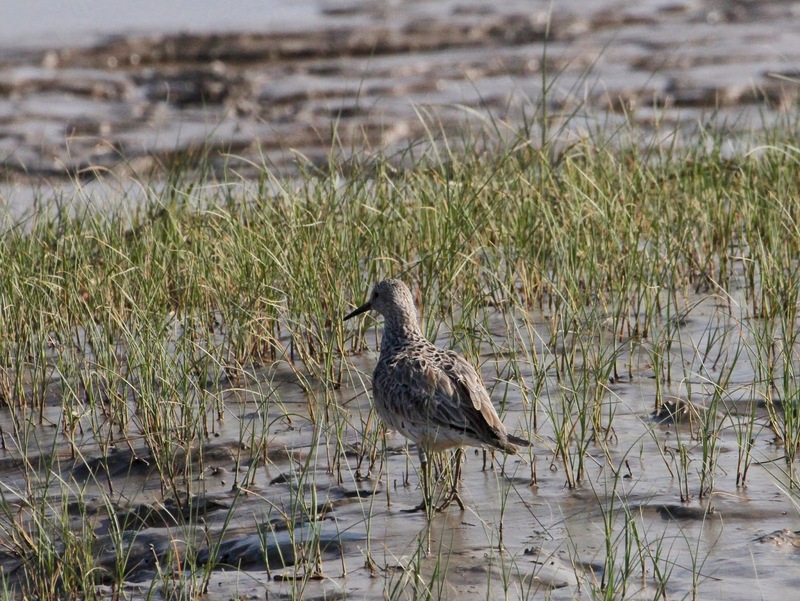 Chongming Dongtan is an important stopover point for migrating Great Knot. The Great Knot is a long distance migrant that uses a limited number of stopover sites between the wintering sites in Australia and the Russian breeding areas. 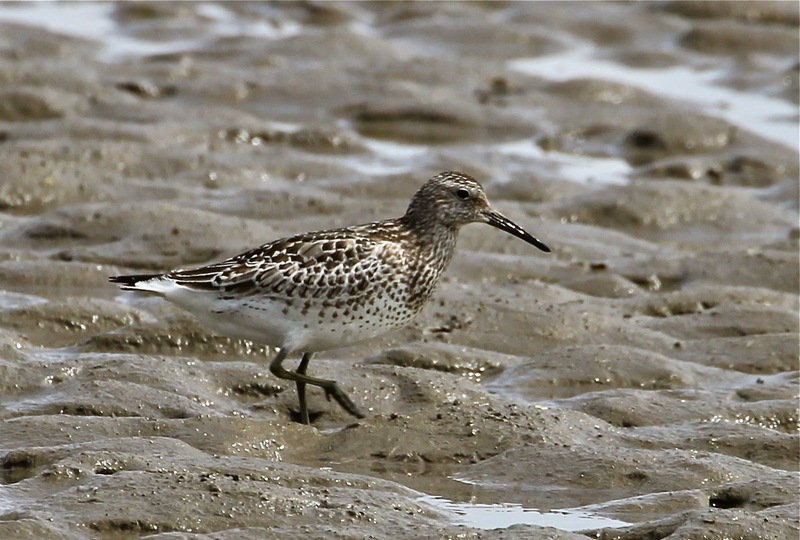 The Great Knot is also a wader that is in some trouble; numbers have declined sharply in recent years. Habitat loss and degradation, hunting, lack of food and pollution all form potentially significant threats. Students from Fudan University have been studying Great Knot to understand their migration strategy. This year, birds are being radio-tagged and leg-flagged at Chongming. 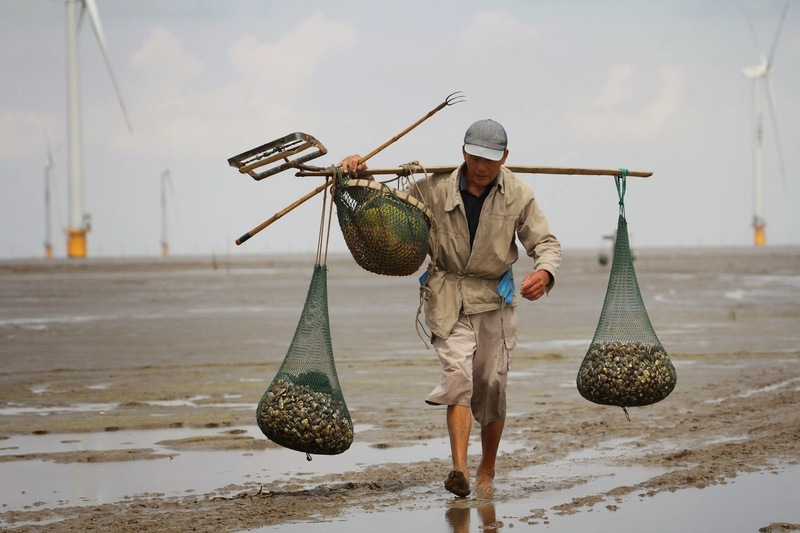 The birds are caught by ex-hunters sat out on the tidal flats who whistle the birds down to a clap net. Remarkable stuff. Studies have shown that many Great Knot undertake a long flight straight from Australia to the north Yellow Sea, with varying numbers stopping off at Chongming before completing the short hop up to the north Yellow Sea. This may largely depend on weather conditions. Birds may stay at Chongming just a day, or for up to 2 weeks, again largely dependent on weather. This is reversed in the autumn, with a long flight south from Chongming. Studies show that birds attain a significantly higher body weight at Chongming Dongtan during the southward than northward migration. The Fudan University team are also stationed on the Chinese/Korean border to await northward-bound radio-tagged birds. Birds have been recorded arriving the day after leaving Chongming. The diet of the Great Knot is mainly bivalve molluscs, gastropods, polychaete worms, crabs and shrimps. 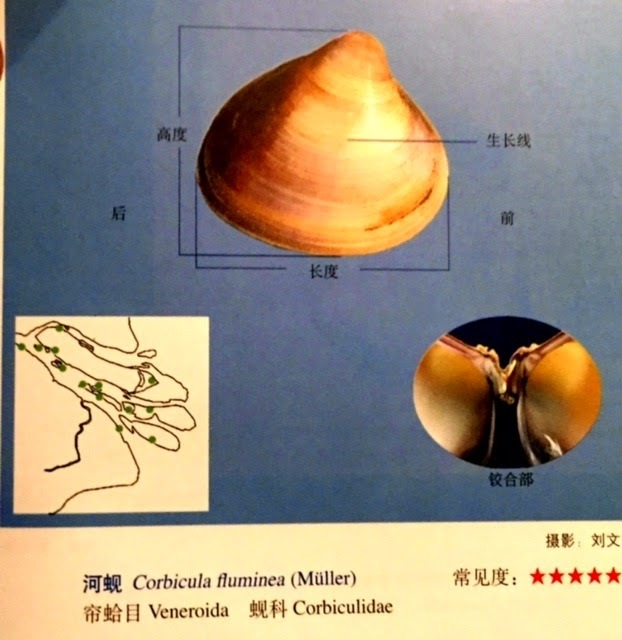 At Chongming the main food is the small gastropod Assiminea violacea and the clam Corbicula fluminea; beasts of brackish waters that like the mudflats towards the mouth of the Yangtze. 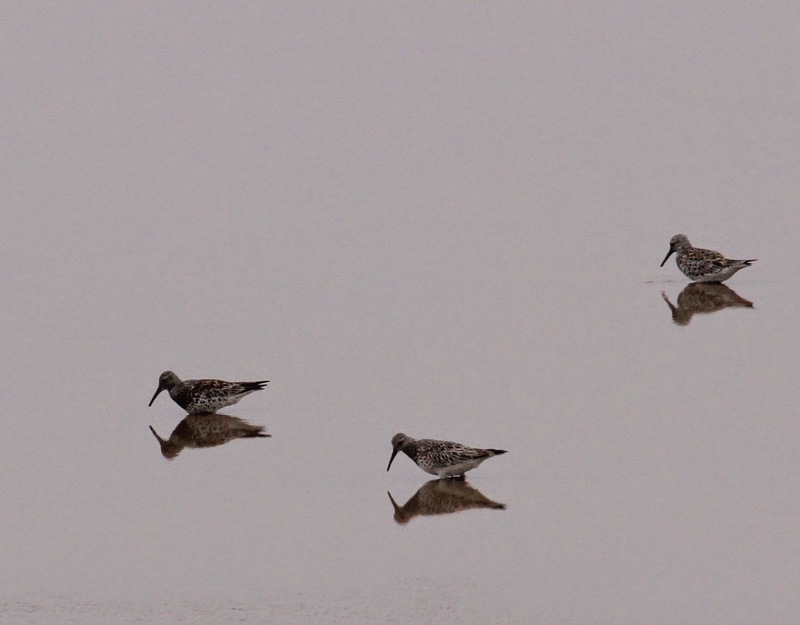 These two can form 70% of the diet of Great Knot at Chongming and are critical to its migration strategy. Photos: above: Great Knot, clap-netting, fitting radio-tags and leg-flags. Below: bird with radio-tag, autumn Great Knot, food!, shell-fish gatherer.